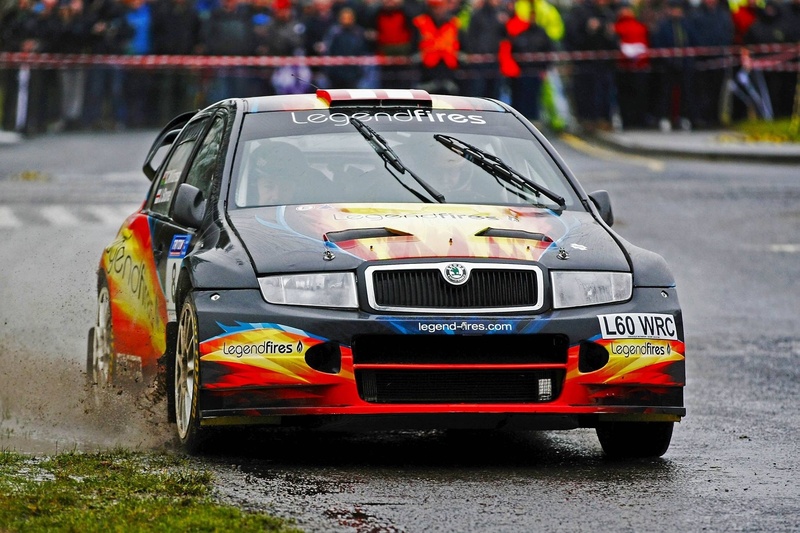 John Stone fought back from a first stage puncture to finish 18th overall on the Birr Stages Rally, the first round of the Irish National Championship, at the weekend. The Dom Buckley team had a very busy couple of weeks to prepare the car following an engine fire whilst lying second on the North West Stages just a couple of weeks earlier. On the Thursday before the event a diff ECU failed on the car. With no spare available, a member of the Buckley team was sent to Belgium on a flight to borrow one from another car. This posed less risk than to have it delivered by courier as there was every chance a courier would lose it. Everything turned out ok as we got the part in time and the car was loaded ready for the Saturday morning departure to Ireland for the Sunday rally. 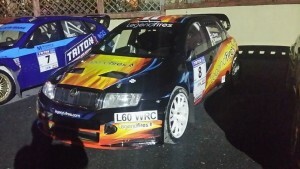 John is competing in this championship for the first time, so as well as being new to the Irish stages he was hoping his luck would turn after 2 non-finishes already this year. 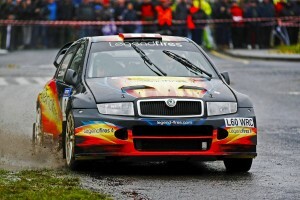 The first at the Jack Frost Stages where the weather was not suitable for the testing he had hoped to carry out on the event and then the engine fire at his local event the North West Stages. The rotten luck of the Englishman and his Welsh navigator Carl Williamson turned from bad to worse just 3 corners into the first stage when they picked up a puncture and were forced to stop and change it. This coupled with re-joining behind a slower car cost the Skoda pair three and a half minutes and meant that after 1 stage they lay 132nd of 132. Stone and Williamson could quite easily of thrown the towel in, stuck the car on the trailer and headed for home. That’s not John’s attitude to rallying though. 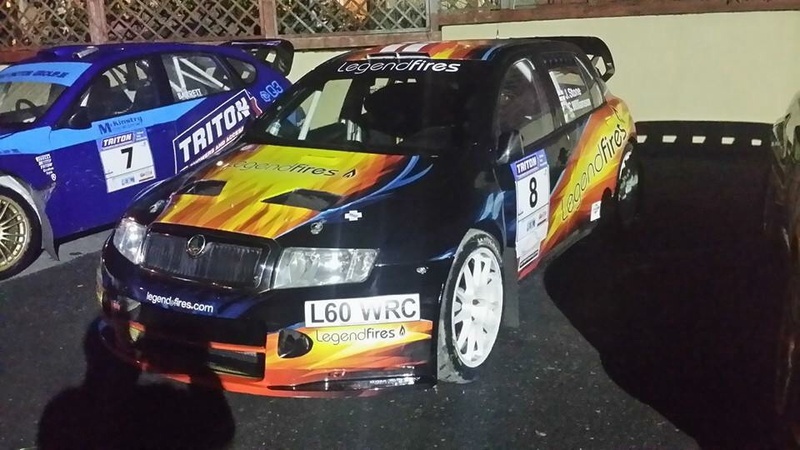 He picked himself up and set top 10 stage times throughout the next 8 stages around the Irish countryside to finish in a very respectable 18th overall and picking up 5th in class 7. Valuable seat time on the Irish roads was gained in some difficult conditions and maybe more importantly a very enjoyable days rallying (except stage 1) at the home of Tarmac rallying. At the head of the field Declan Boyle had lead the rally but he dropped time also with a puncture which left Donagh Kelly to take victory from Gary Jennings.